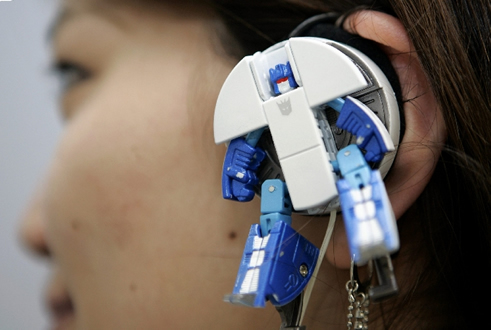 The Transformers Music Label Frenzy & Rumble earphones will be released to the market by Japanese toymaker Tomy Company in July. Besides fully functional earphones for use with the Soundwave MP3 player, these magic earphones can also transform into the troublemaking robots – Frenzy and Rumbles. Priced at US$33, Frenzy and Rumble can be purchased via DigitalToys.